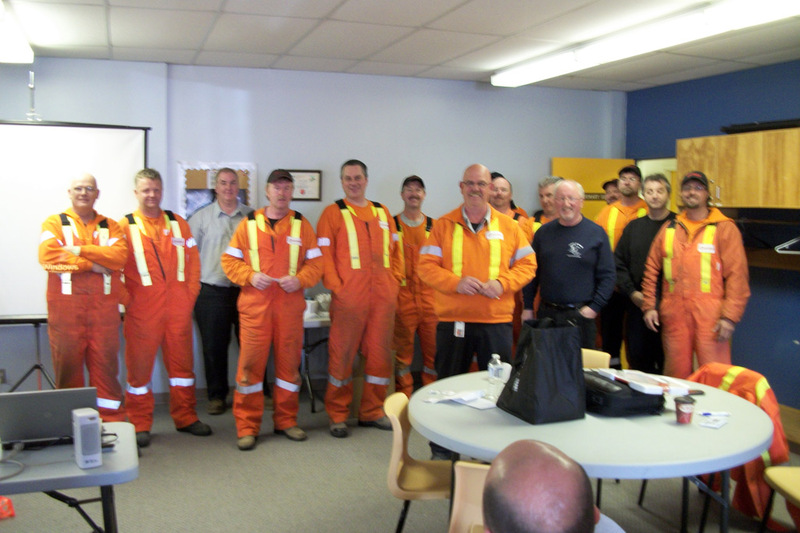 Rogers employees were awarded I.B.E.W. 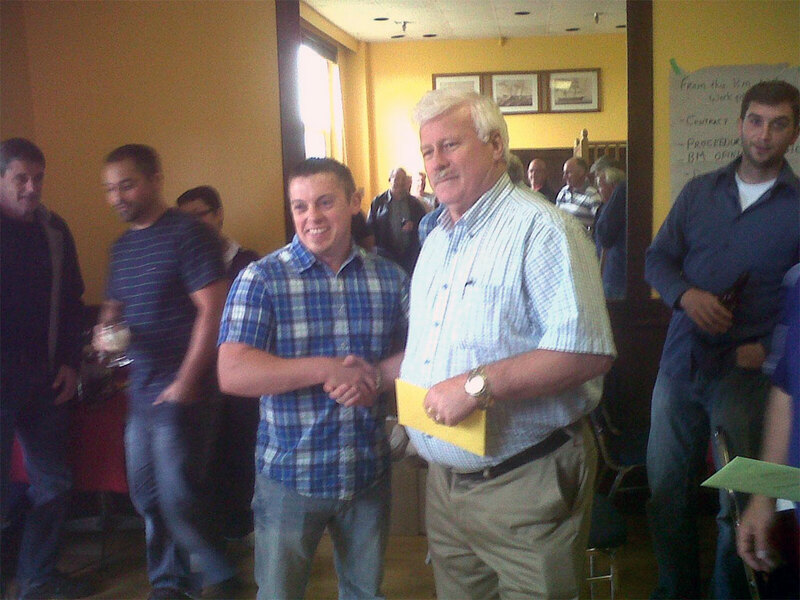 pins to commemorate their years of service. 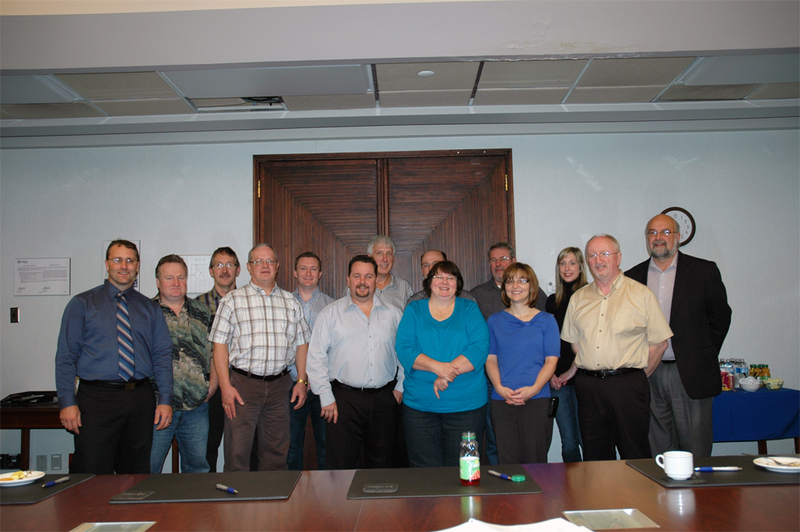 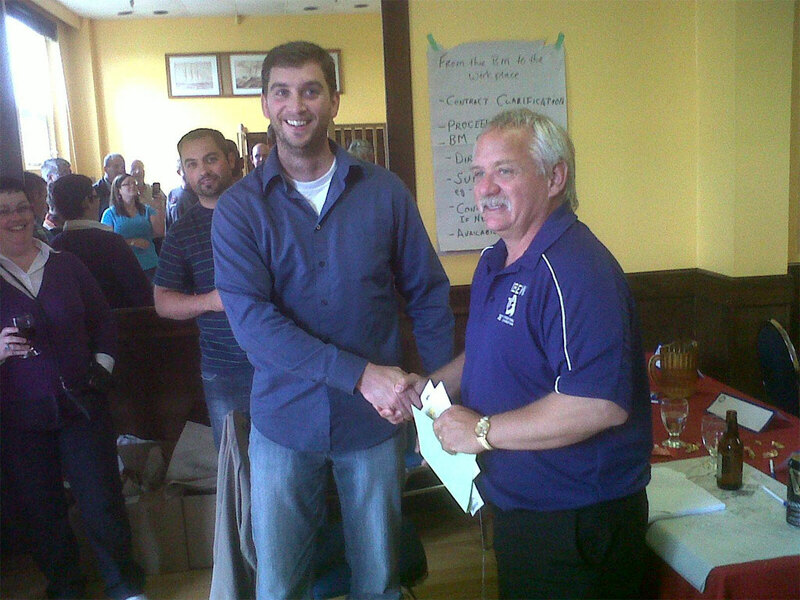 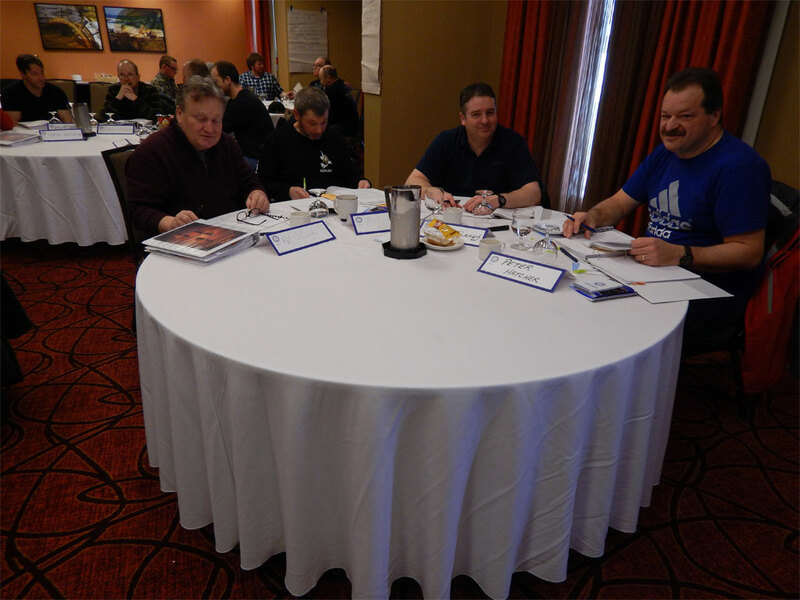 A shop stewards school was held in St. John's on June 15 & 16, 2012 with 27 shop stewards in attendance. 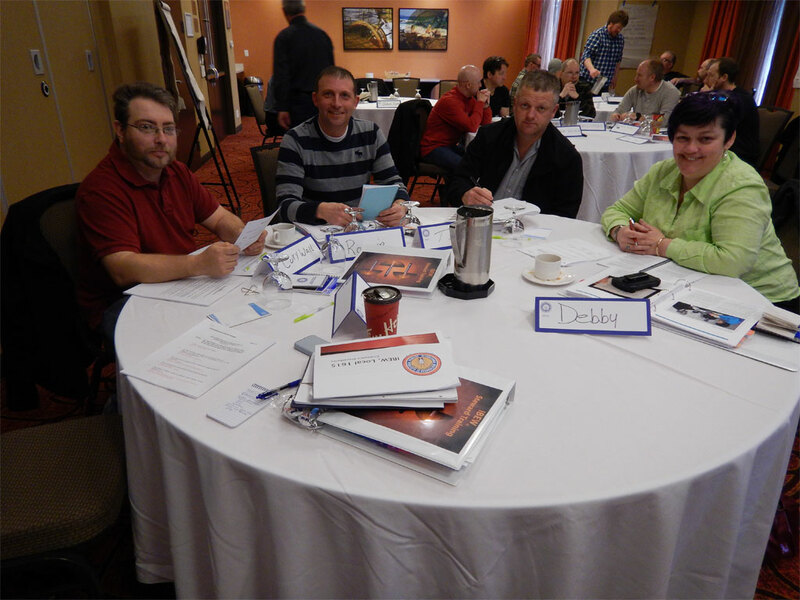 This school was very successfull and all took something from the Course. 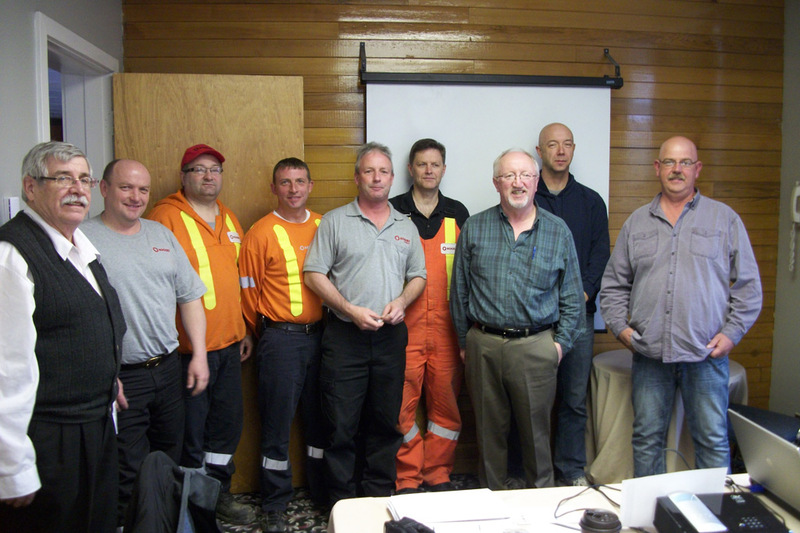 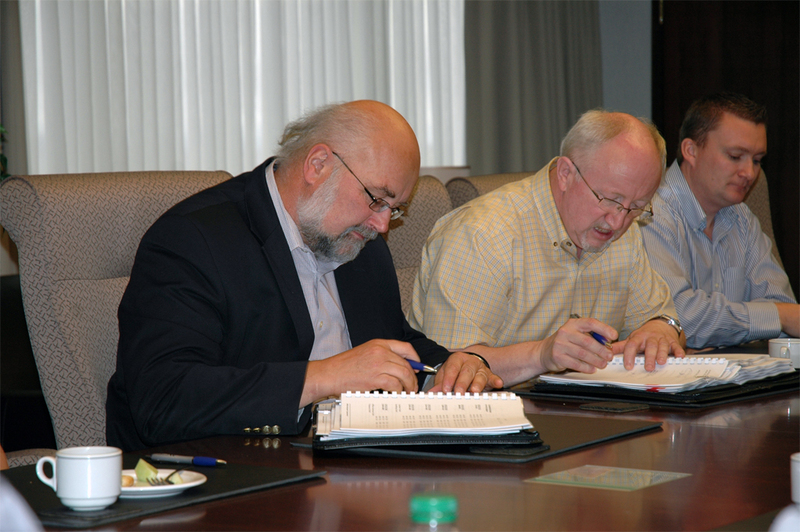 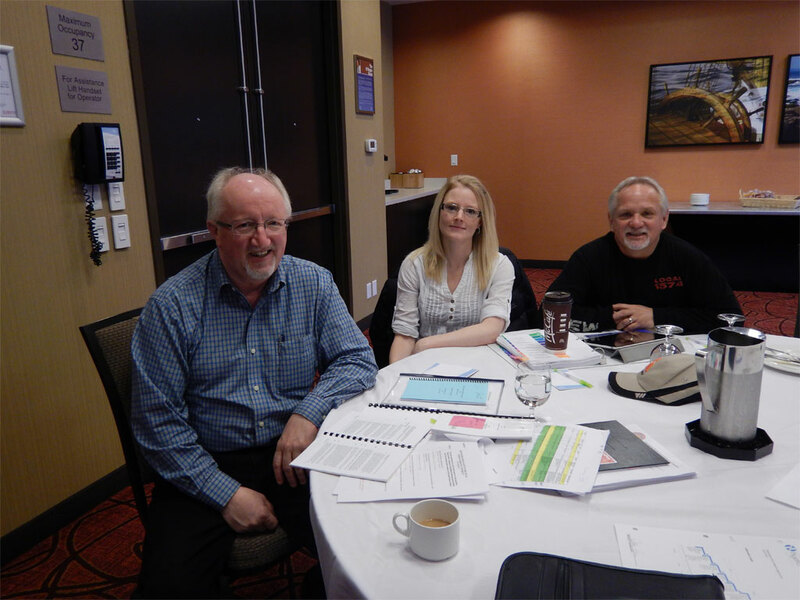 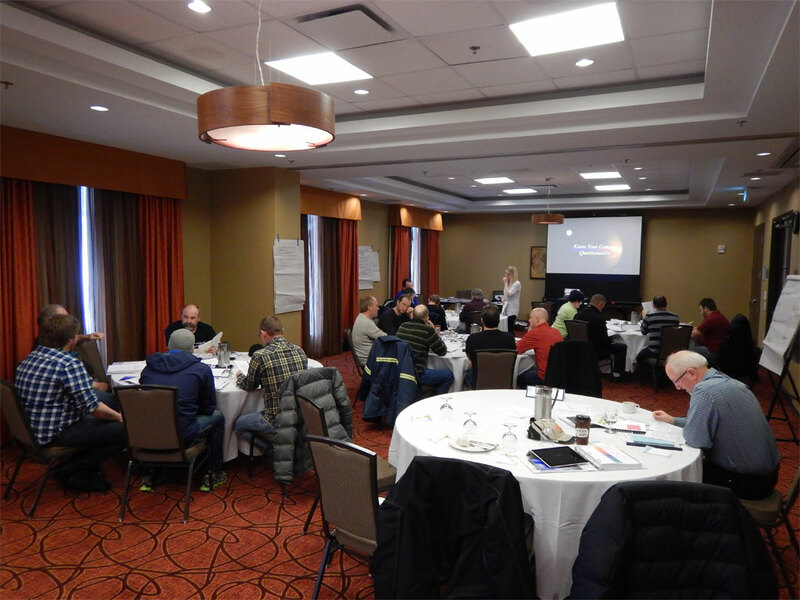 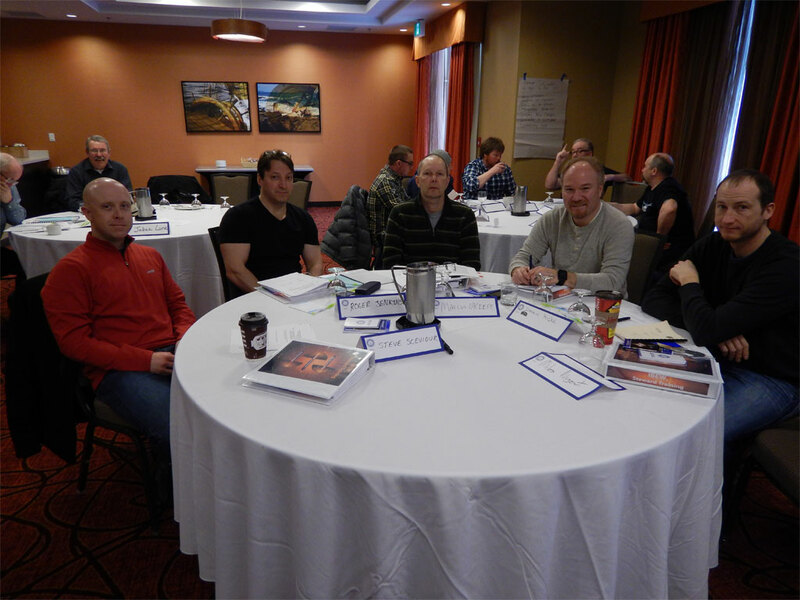 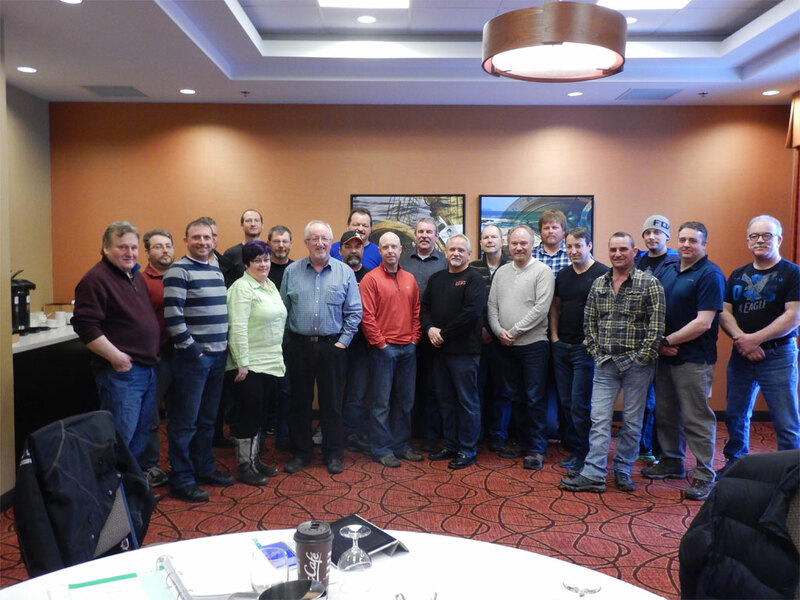 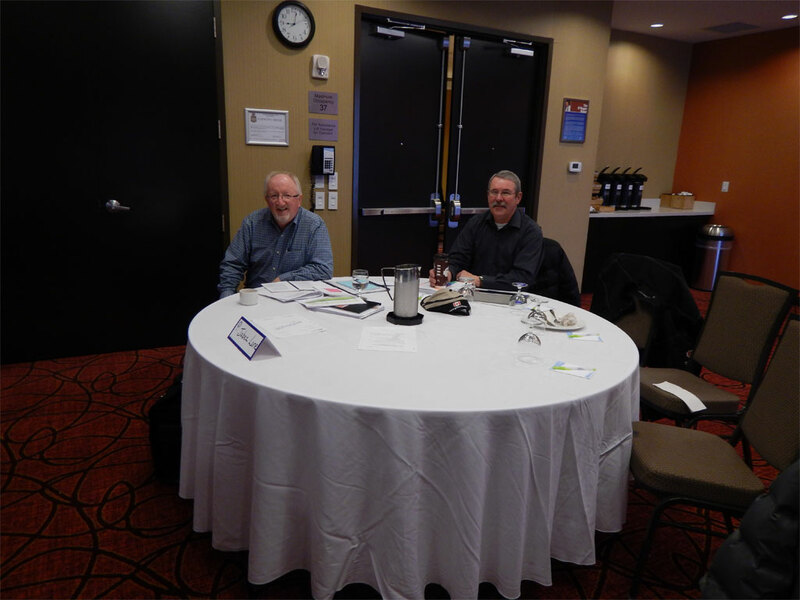 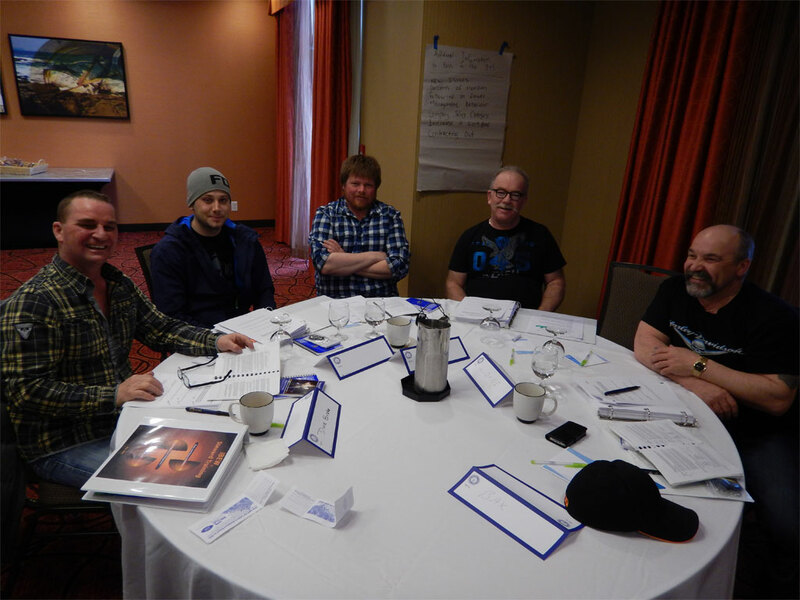 International Representatives, Mike Power, NL and Jim Watson, Alberta presented the course to our shop stewards. 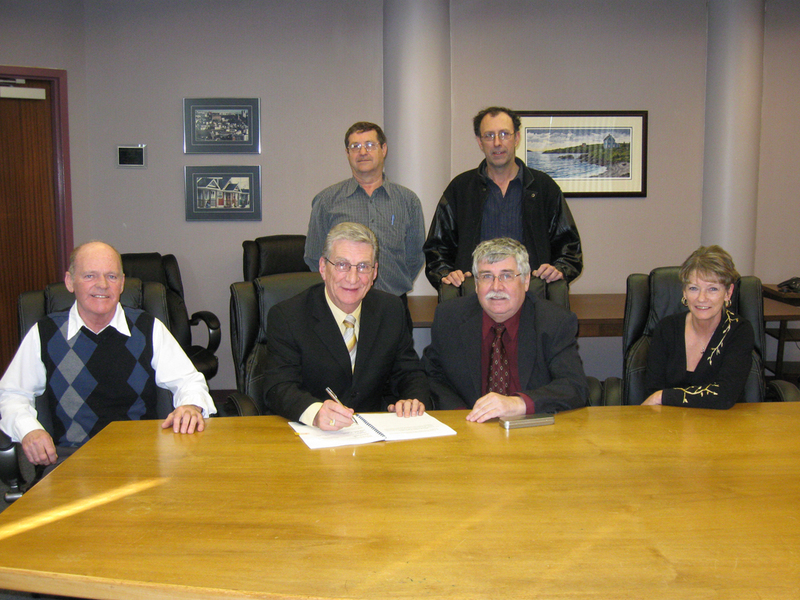 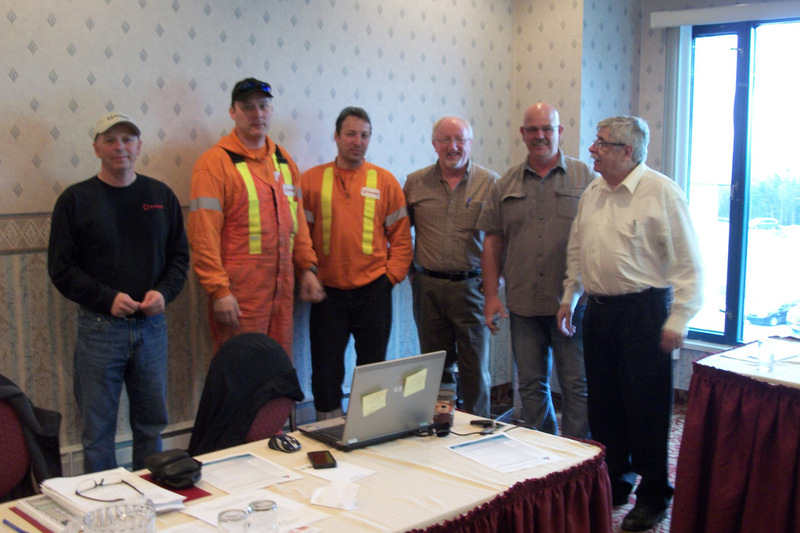 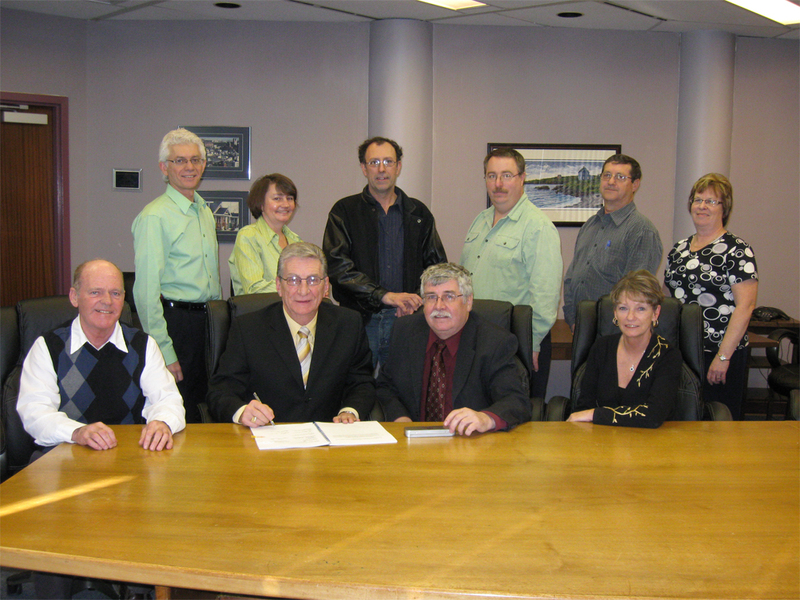 Below are a couple of pictures of both new shop stewards giving a small token of appreciation to both International Reps. Picture # 1 - Curtis Wheeler, Holyrood to Jim Watson and Picture # 2 - Ryan Steele, Bishops Falls to Mike Power.